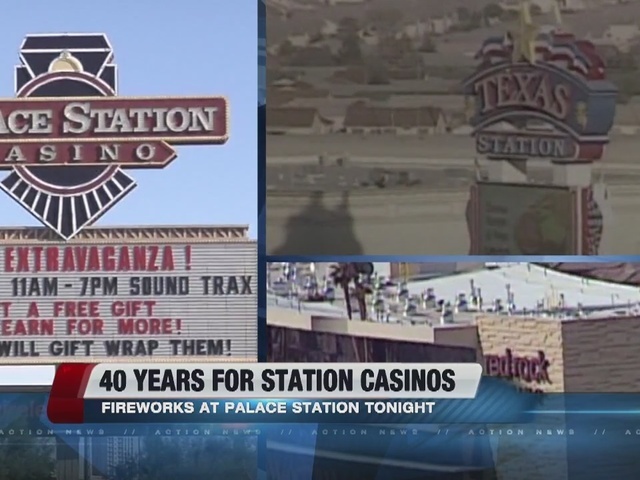 Station Casinos will be celebrating 40 years with a fireworks show on Friday. 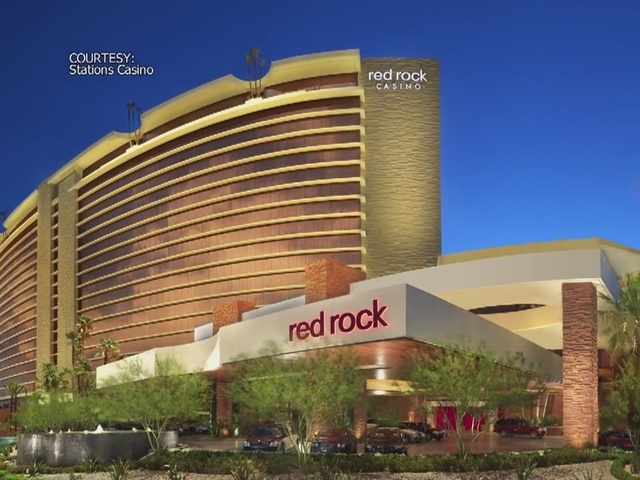 The fireworks show at Palace Station hotel-casino will be in lieu of the company's traditional 4th of July fireworks shows which are usually at Red Rock Resort and Green Valley Ranch Resort. The fireworks show will start at 9 p.m. with Fireworks by Grucci and a synchronized soundtrack on 96.3 KKLZ. On July 1, 1976, Frank Fertitta Jr. opened a 5,000-square-foot facility called The Casino attached to the Mini Price Motor Inn on Sahara Avenue, just west of the Strip, featuring 100 slot machines, a few table games and a snack bar. Fertitta’s sons, Frank III and Lorenzo, worked at the property and learned the gaming business from their father. In 1993, Fertitta retired and Frank III assumed leadership of the company. Frank III saw how Las Vegas was growing and believed the Palace Station business model could be successfully replicated, and in 1994, opened Boulder Station. Its success led to the development of additional entertainment destinations throughout Las Vegas. Station Casinos started with 90 team members and now has more than 12,000, owns 19 gaming venues and, with the recent announcement to acquire The Palms, will soon have 20. 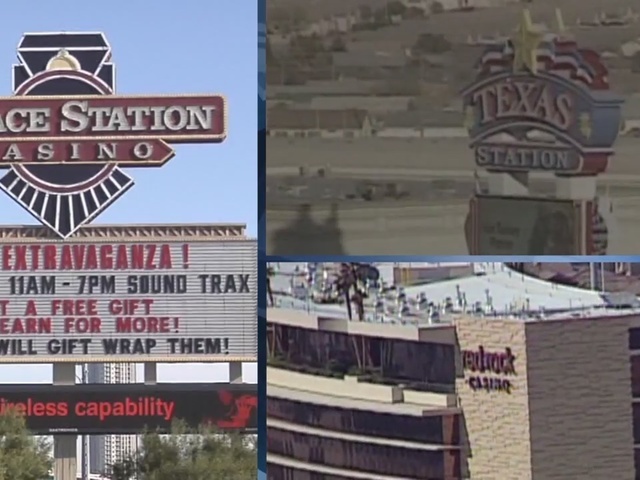 Station Casinos is also celebrating its 40th anniversary throughout July. The Grand Cafés and Fiesta Cafés throughout the company are offering a $4.99 ham skillet all day, a $3.99 half-pound burger with fries or a $9.99 steak and shrimp dinner from 11 a.m.-10 p.m. All-nighter specials are offered from midnight to 5 a.m. with a valid Boarding Pass, including a $2.49 all-nighter skillet and $1.99 short stack or biscuits and gravy. T-Bones Chophouse at Red Rock Resort and Hank’s Steaks and Martinis at Green Valley Ranch Resort are offering a $140 dinner for two that includes clams casino and steak tartare, spinach salad, steak Diane and baked stuffed shrimp, pommes Anna, green beans almandine, and baked Alaska. The Charcoal Room at Palace Station is offering Boarding Pass members $25 off their bill when they spend $50 or more, from July 1-31. Offer not valid on July 4. Guests can celebrate Station Casinos’ birthday by obtaining their special 40th Birthday Collector’s Edition Boarding Pass at any Reward Center. $5 commemorative gaming chips are also available. Boarding Pass members also are eligible to receive the commemorative $5 chip for free when they earn 500 based points on select games. From 10 a.m.-9 p.m., July 4, guests can earn points playing their favorite games to receive a limited edition Bingo Palace T-shirt; and on July 14 guests can receive custom designed hats by presenting their Boarding Pass and photo ID at any Station Casinos’ property. While supplies last, limit one per person. Every day in July, guests can play for a chance to win up to $40,000 cash, free slot play, points, dining and more. Win cars, cruises, cash and more every Friday, Saturday and Sunday in July. Throughout July, earn free entries every day to be entered into a drawing for a chance to win up to $10,000 at each Station Casinos’ property. The drawings will be held on July 31 at 6:15 p.m.
Every Friday play the Swipe & Win game upon earning 5 base points on slots/video poker. Every swipe is a winner. Throughout July, guests at all Station Casinos’ property will have the chance to receive 10 times points on slots and 6 times points on video poker at multiple properties each week on designated dates. Additionally, Wildfire properties will offer point multipliers every Sunday in July. “Celebrate Good Times” at Green Valley Ranch with Rock Shot Bingo on July 14 featuring birthday cake shots and other birthday goodies. Doors open at 8 p.m. and the game starts at 9 p.m. Cost is $25 and includes 10 electronic bingo games, shots and prizes for winners. Play Bingo at 1 p.m., 7 p.m. and 9 p.m. on July 3 for a chance to win $10,000 at Red Rock Resort, Green Valley Ranch Resort, Boulder Station, Palace Station, Santa Fe Station and Texas Station. Fiesta Rancho and Fiesta Henderson guests have a chance to win a $2,000 cash ball.